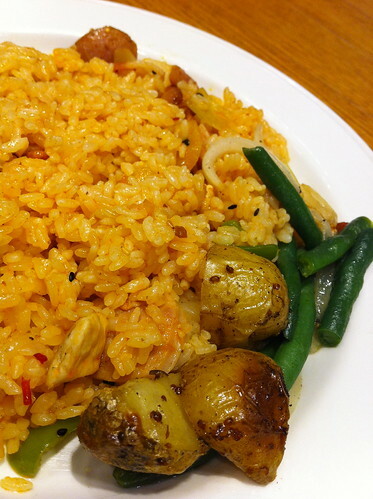 Jambalaya from Vecchia & Nuovo in the basement of The Largest Department Store In The World. 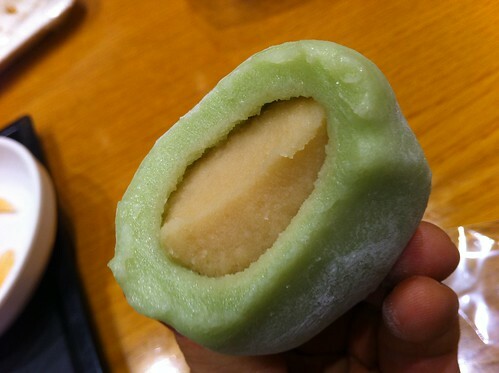 Giant apple flavoured rice cake from the aforementioned store's food court. 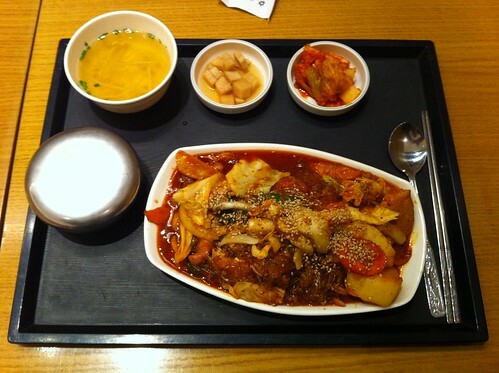 Dak Galbi set from the food court, unfortunately very little chicken and far too many glass noodles. Heart attack on a hot plate. Donkass with melted cheese... A brave friend of mine ordered it, once again from that food court. 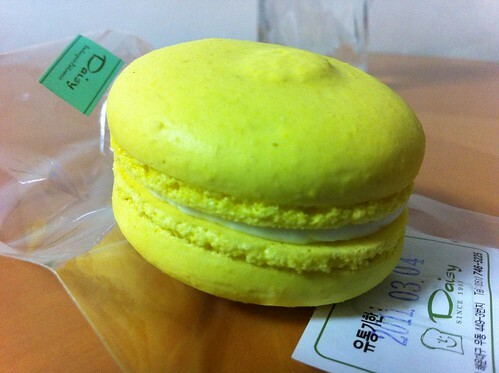 Worryingly bright yellow macaroon. Reminiscent of lemon scented washing-up liquid. Roast chicken and rice from the Macaroni Grill. More on this place to come. 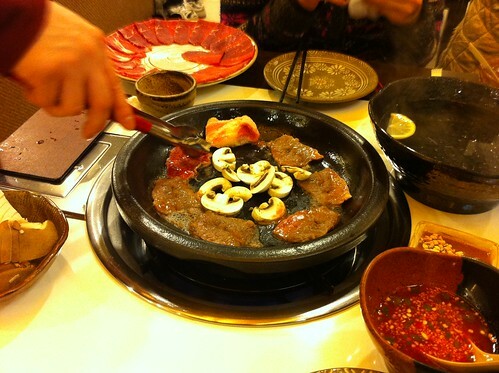 Vietnamese bbq at Saigon, the best South East Asian restaurant in Gwangalli. 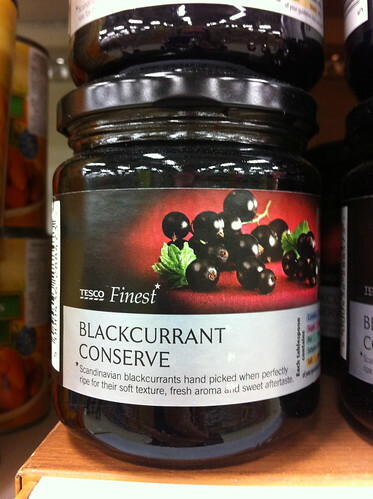 The most exciting find of the week: blackcurrant conserve at Centum City Homeplus. Scandinavian blackcurrants... mmmmh. 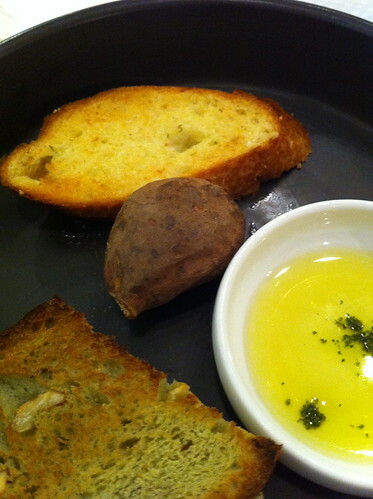 Anna Bini offers and interesting bread plate, with surprise sweet potato. 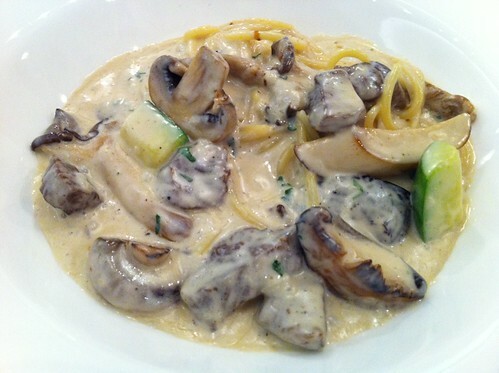 Though their gorgonzola con filetto di manzo grigliata is to die for. 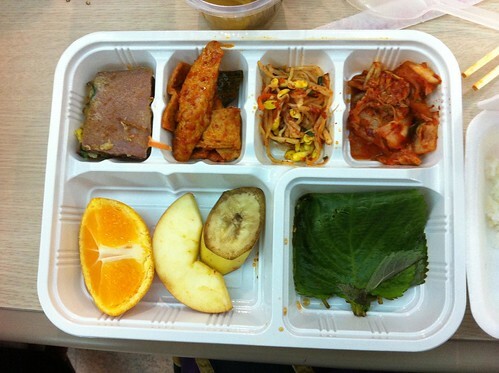 Food was provided for us during the DVD shoot. However, both cast and crew were rather shocked by our first meal. What I like to describe as "the saddest lunchbox in the world". Things started to look up when they ordered 돼지국밥 for dinner. This is one of my favourite Korean soups, stuffed with pork offcuts and blood sausage (plus plenty of fermented shrimp on the side for dipping action). If you happen to be visiting Gwangalli, then I'd advise a quick trip to this place if you're feeling peckish. 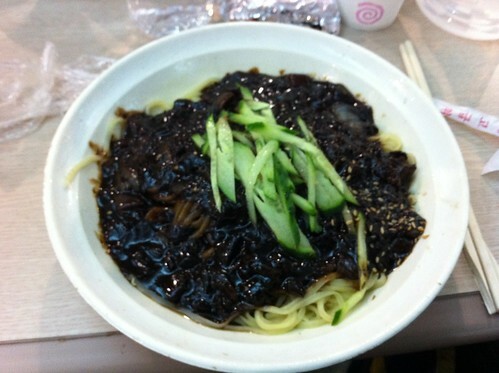 Our final meal of the DVD shoot was a rather boring black bean noodle dish. I love good 짜장면, but this bowl was rather uninspiring. 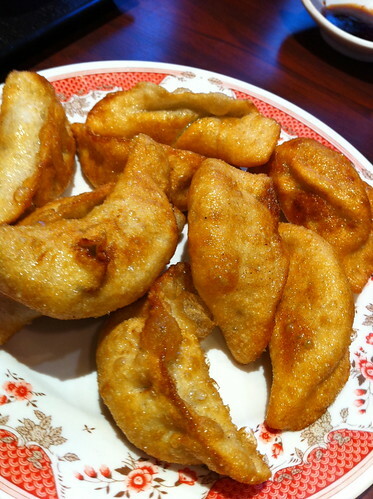 Our final meal in Busan took us to possibly the best Chinese dumpling restaurant in Korea. I don't know whether the chef has changed or if they've been forced to buy cheaper ingredients, but the dumplings weren't quite as good as in 2010. 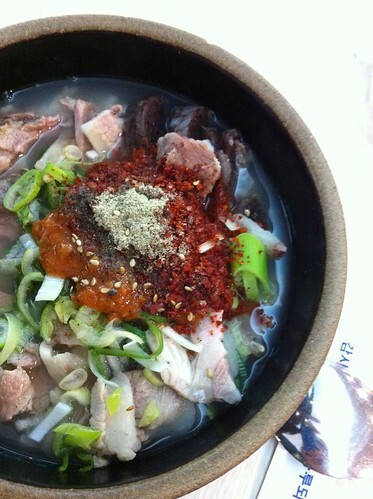 So there you have it, my culinary adventures in Busan. Deliciousness in Daejeon still to come. 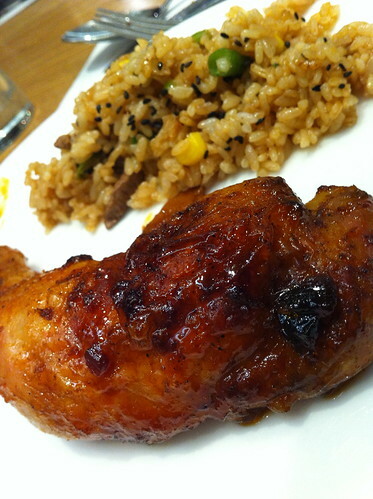 As always your food pics make me drool! Except that lunch box. So sorry. Thanks Breda, the lunch box was quite a shock. Worst thing was that it cost as much as the delicious 돼지국밥! 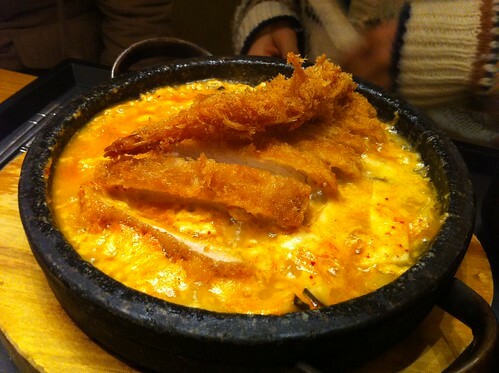 Hi~ I stumbled upon your post about 돼지국밥 while searching for a good restaurant and I'm curious; do you remember the name of the place, or where in Gwangalli it is? It looks like a great bowl of one of my favorite soups! We ordered take out so I don't know exactly where it came from, but this place (http://www.paulajosshi.com/2009/07/pork-in-busan.html) in Gwangalli serves a great 돼지국밥. You'll find name, phone number and directions on that page.